Email shows bureaucrats emphasized industry concerns, opting not to consult directly with First Nations. Congratulations once again to the National Observer, far and away Canada’s best progressive voice covering energy, pipelines, politics and culture. Below is a slightly abridged/edited repost of De Souza’s long, excellent article, which was updated to include new comments from Natural Resources Canada. The repost includes my added subheadings and highlighted text to bring main points to the fore. To read the original, complete piece on the National Observer’s website, click on the following linked title. For more special reports on this subject, click on Kinder Morgan. #45 of 47 articles from the Special Report: Kinder Morgan. High-ranking public servants in the federal government discussed speeding up the review of Kinder Morgan’s Trans Mountain expansion project in 2016 following a phone call from the company’s Canadian chief executive, Ian Anderson, reveal newly-released documents. And one day after the Texas energy company lobbied the top public servant at Natural Resources Canada, officials warned the proposed pipeline would be “abandoned” if delays were significant. The records, including a leaked email and an internal government memo from January 2016, provide a glimpse into public servants’ deliberations over opposition to the multi-billion-dollar Kinder Morgan project as well as the power and influence of the oilpatch over Canadian government policies. The project is currently on hold, with Kinder Morgan recently threatening to pull the plug if stakeholders aren’t able to address uncertainty that the company claimed is being caused by the B.C. government’s opposition to the pipeline. The internal documents show how Prime Minister Justin Trudeau’s Liberals, after forming a government in the fall of 2015, were seized with public anger about the weakening of federal environmental laws by the former Harper government, concern about consulting First Nations and restoring public trust in the pipeline approval process. At the same time, federal officials were trying to provide a fair process that wouldn’t send industry back to square one in their applications for new projects. The Trudeau government eventually decided to expand its public consultations about the pipeline, while appeasing some of the industry concerns about delays. Two years later, this decision could become a factor in an ongoing legal challenge at the Federal Court of Appeal over whether the Crown adequately consulted First Nations before announcing its approval of the Kinder Morgan pipeline expansion on Nov. 29, 2016. The federal government has a legal duty, under Section 35 of Canada’s Constitution, to consult First Nations in a meaningful way about issues and decisions that could affect their land, their water and their rights. 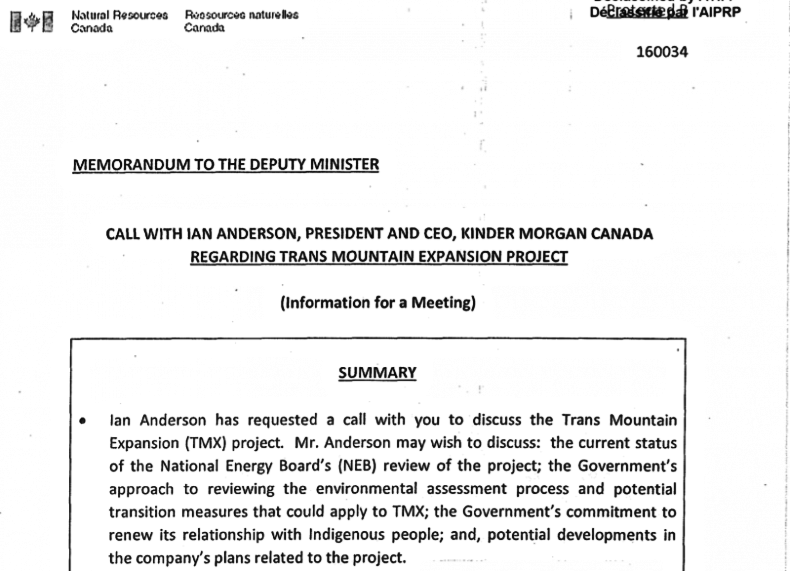 “Ian Anderson has requested a call with you to discuss the Trans Mountain Expansion (TMX) project,” said a memo sent on Jan. 14, 2016 to then-deputy minister Bob Hamilton from the federal Natural Resources Department. “Mr. Anderson may wish to discuss: the current status of the National Energy Board’s (NEB) review of the project; the Government’s approach to reviewing the environmental assessment process and potential transition measures that could apply to TMX; the Government’s commitment to renew its relationship with Indigenous people; and, potential developments in the company’s plans related to the project.” High-ranking federal officials discussed how to speed up the government’s review of the Trans Mountain project, one day after being lobbied by Canadian division of the company. Shortly after this memo was sent, and one day after Hamilton was lobbied by Kinder Morgan, the high-ranking public servants discussed how to warn the government in a memo about the risk that the company might walk away from its project. The memo and the email were sent less than two weeks before Prime Minister Justin Trudeau’s government announced interim principles that would be used to oversee the assessment of major projects — such as Trans Mountain and TransCanada’s Energy East pipeline — in order to restore public trust in federal oversight of industry. This included adding additional public consultations to the ongoing reviews. Several Indigenous leaders across the country criticized the government for not consulting them about these interim principles. At the time, opposition against Kinder Morgan was growing in B.C. due to Harper-era rules that made it more difficult for members of the public to apply and participate in public hearings about major industrial projects. The NEB also prevented stakeholders from cross-examining company officials about their evidence, and it angered many pipeline opponents and scientists by deciding in December 2015 to exclude new scientific evidence from a U.S. National Academy of Sciences report that said new regulations and research were needed to prepare for spills of bitumen, the heavy oil produced in the oilsands. If built, the Trans Mountain project would dramatically increase shipments of bitumen to a maximum of about 890,000 barrels per day from Alberta to a terminal in Burnaby, a city in Metro Vancouver. The project is also estimated to increase oil tanker traffic by seven times above current levels in the traditional territory of the Tsleil-Waututh Nation. Opposition to Kinder Morgan has accelerated in recent weeks, with nearly 200 people arrested for trying to stop construction at the Burnaby site. The company has threatened to abandon the pipeline project by May 31, if stakeholders fail to resolve concerns about the opposition in B.C. The provincial NDP government of Premier John Horgan has vowed to use all legal tools available to protect B.C. coasts from increased shipments of bitumen on oil tankers. The ultimatum from Kinder Morgan has prompted Trudeau and Alberta NDP Premier Rachel Notley to begin private financial negotiations with the company in an effort to salvage the project. Companies operating in Canada’s oilsands region, the world’s third largest reserve of crude oil after Saudi Arabia and Venezuela, have been pushing for new pipeline approvals to support growth and access to new markets. But many pipeline opponents argue that new energy infrastructure to support expanded extraction of bitumen from Alberta’s oilsands would lead to spills and push Canada’s climate change goals out of reach. In its interim principles for project reviews, announced on Jan. 27, 2016, the Trudeau government said it would extend its review of both the Trans Mountain and Energy East pipeline projects by a few months beyond what would have been done under the former Harper government’s rules. However, the newly released records indicate that someone convinced the government to shrink its deadline for making a decision on the Trans Mountain project, taking it to the end of 2016, instead of February 2017. “On the TMX timeline discussion last night, I am ok shrinking the deadline from Feb. 2017 to end of 2016, but I am not sure it is worth it to shrink any more, to November,” wrote Keenan, then the associate deputy minister at Natural Resources Canada, in the Jan. 18 email. The message was delivered to Hamilton, then the deputy minister, then-associate deputy minister Erin O’Gorman, and at least seven other senior officials. Natural Resources Canada did not immediately respond to a question about whether the “TMX timeline discussion” he referred to in his email was related to the phone call from Anderson on the previous day, or a separate conversation involving public servants. But it sent National Observer a general statement on Wednesday evening, after this article was published. The statement noted that the government was “committed to developing the vital infrastructure that is critical to Canada’s ability to get resources to global markets” in a way that protects the environment, including efforts to fight climate change and protect the coastlines. “The government took the time to get this decision right – securing the best non-partisan advice, conducting the most thorough review of any energy project and subjecting it to 157 legally-binding conditions intended to ensure safety, minimize environmental impact and augment oversight,” said the federal department in its statement. National Observer was able to review the email from a confidential source who asked not to be identified for fear of reprisal. Natural Resources Canada released a censored version of the deputy minister’s memo through access to information legislation. Previously-released records revealed that public servants in charge of Crown consultations reported that Indigenous leaders felt that the government was rushing the process and described it as a “paternalistic,” “inadequate,” and “unrealistic” approach. 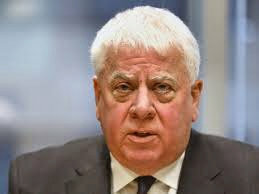 Kinder Morgan didn’t respond to multiple requests for comment with questions from National Observer about what was revealed in the internal documents and Anderson’s phone call to the deputy minister. Keenan, who is now deputy minister at Transport Canada, also declined to respond to questions about his email, referring them to Natural Resources Canada. He didn’t immediately respond to questions, sent by National Observer on Monday, about what Kinder Morgan lobbied him about in his new position and whether it had any impact on massive public investments that the government would later make on an Oceans Protection Plan, in direct relation to the Trans Mountain project. 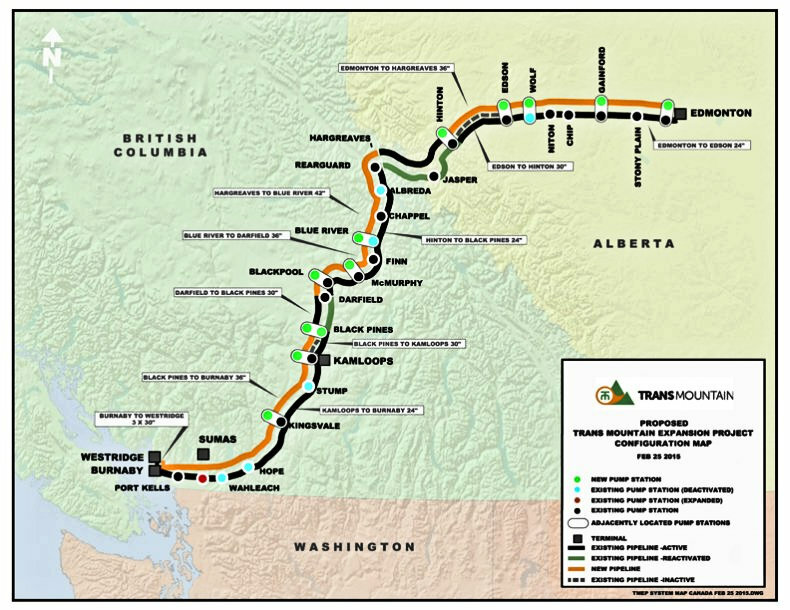 While the legal review of the Trans Mountain expansion proposal is still before the Federal Court of Appeal, the documents highlight an issue that was a deciding factor in a related court battle involving the former Harper government’s approval of the Enbridge Northern Gateway pipeline project to the west coast. In a ruling that quashed that approval in June 2016, a Federal Court of Appeal judge wrote that the approval could have survived the legal challenge if consultations with First Nations had been extended by four months. The email from Keenan also reveals that the Trudeau government left another option on the table that could have enhanced consultations with First Nations. This option would have required Natural Resources Minister Jim Carr to appoint a Special Ministerial Representative (SMR) to engage directly with affected First Nations to determine how to accommodate their concerns. This was rejected in favour of a special panel that reviewed the NEB’s recommendations after holding a consultative tour to hear from members of the public along the Trans Mountain route. 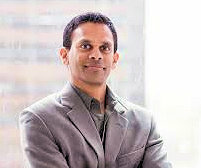 Choosing the panel allowed the government to shorten its timeline for a decision by several months, according to Keenan’s email, which explained that a special representative would push the decision back to February 2017. When asked about this decision, Natural Resources Canada told National Observer in a statement that the government considered several measures to fulfill its commitment to enhance public participation on the Trans Mountain project. “To respect the principle of not going back to square one need (sic) different approach for TMX where the NEB proceeding (sic) are virtually complete, compared to Energy East where they are just starting,” Keenan wrote in the same email. The oilsands are Canada’s fastest growing source of greenhouse gas emissions in Canada, but Trudeau has said that his decisions to approve the Trans Mountain project was part of a “trade off” to persuade Alberta to put a cap on the pollution from the oilsands and participate in a national climate change strategy. This entry was posted on April 23, 2018 by fjwhite in evidence based counterpower, Indigenous people's counterpower, information counterpower, political action and tagged corporate power, Kinder Morgan pipeline, Trans Mountain Pipeline, Vancouver Observer.